While it's been nearly a month since my last post, and very quiet here, I've been super busy (as I'm sure many people are at this time of year)! The big project I've been working on can't be shared yet, but I've been knitting and sewing some other things in my spare time. Here's a little selection to inspire you, if you find your fingers need something to do over the holidays. 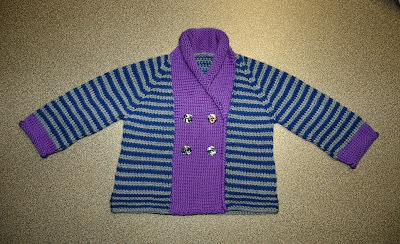 I knit this cardigan for my little niece, from this pattern. She's only 4 months old, so I scaled down the pattern by using DK weight yarn instead of worsted weight. 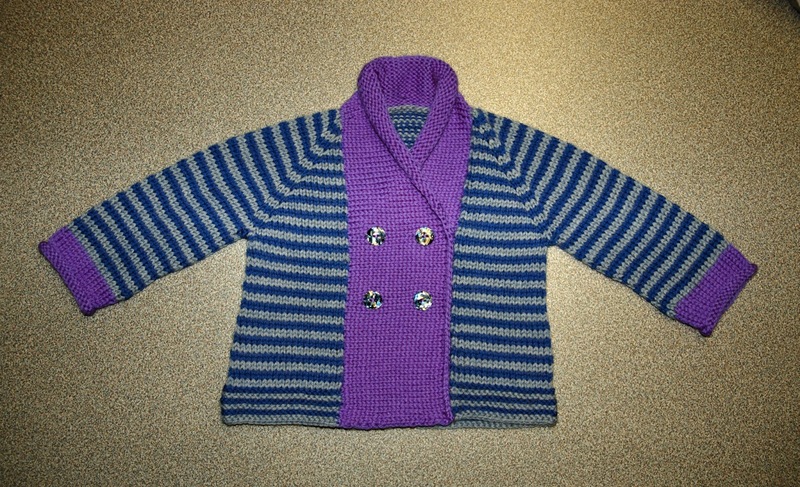 It was easy and fun to knit, and I wish I had time to make more for my boys! This beret was knit in just 2 days, because I had such a short deadline between the party invite and my friend's birthday. The hat turned out so well, I might knit another for myself. 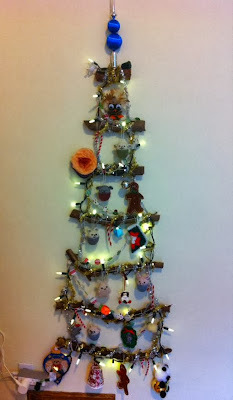 The mini pookies I made for the pattern samples ended up on the tree in my boys' room. 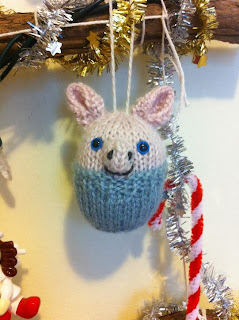 They were joined by some other soft and cute ornaments from my collection. For some reason, Kyr calls them all "piggies" so I knit a piggy one just for him (I just used pink for the head, and folded the fox ears). I've also done a bit of sewing. The boys' stockings (on the right) I made last year. This year I found time to sew one for my husband and myself. I didn't use any pattern or tutorial for these, just making it up as I went along. 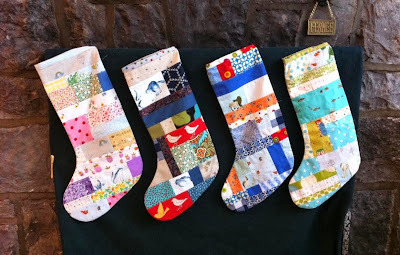 I wanted to use up some of the scraps I had left from other projects, to make stockings that would suit each one of us, but still look like a set. 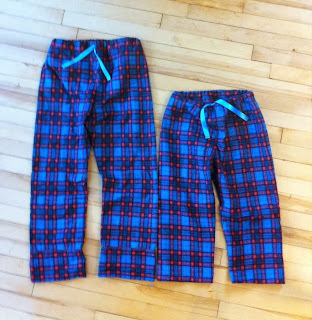 These matching pyjama pants I made for my boys from a piece of flannel that's been in my fabric stash forever. My method was very similar to this tutorial. 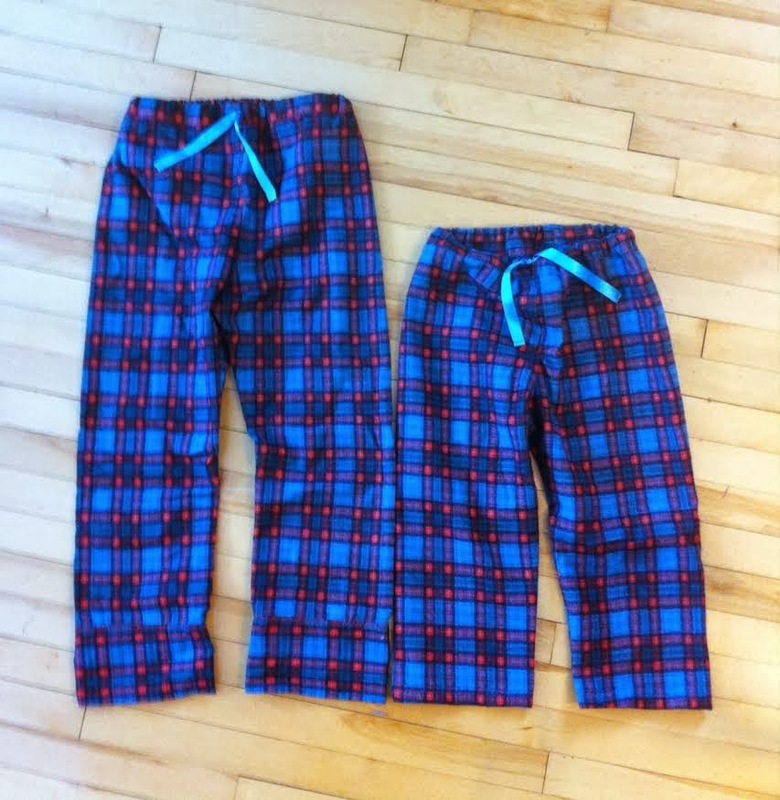 If you've done a bit of sewing, this is such a rewarding project! As a Christmas gift, I have a recipe to share with you tomorrow, something perfect for cold, busy winter days! Posted by Barbara Prime at 10:29 a.m.
December 24, 2013 at 5:32 p.m.